Avoid use of fertilizers and pesticides. 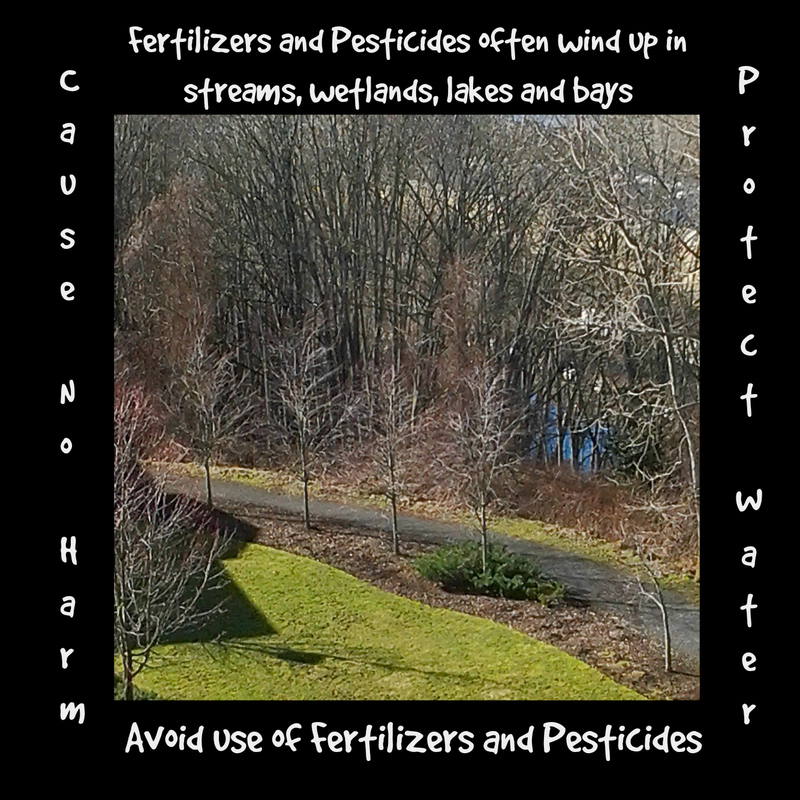 Fertilizers and other chemicals in stormwater are polluting rivers, lakes and bays nationwide. Fertilizers contain elements such as nitrogen and phosphorus which are called nutrients. Rain carries fertilizers through the ground and drains to the nearest water body. Excessive nutrients in water can lead to growth of algae and other tiny organisms which use up oxygen in the water and harm fish and other life. If chemicals such as fertilizers and pesticides spill, sweep them up rather than hosing them into streets and storm drain. The only thing that should enter storm drains is rain.